The Captain Matthew Perkins House at 8 East St. in Ipswich was the winner of the 1991 Mary Conley Award. 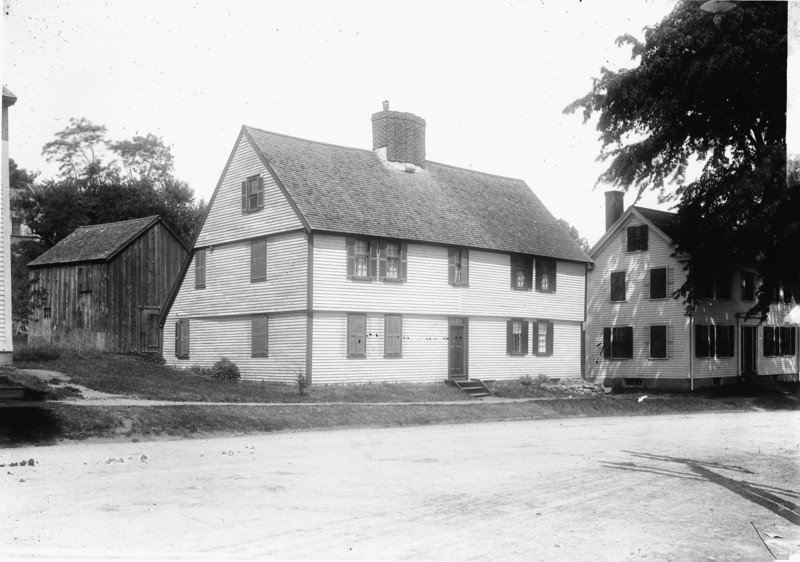 The land on which the house sits was at one time part of an orchard lot and was sold to Matthew Perkins, a weaver and soldier, by Major Francis Wainwright in 1701 *Salem Deeds (17:108). Wainwright owned a close-by house known as the Old Brick. In the 19th Century this was known as the Norton-Corbett house, but the home of the two pastors was next door and was torn down in 1818. The 1st period 2-story structure has a timber frame, clapboard siding, an elaborate pilastered chimney, a rear ell, post-medieval overhangs front and side, and one of the best Jacobean staircases in New England. In 1701, an old conflict in Europe reignited into what is known in America as Queen Anne’s War. The Marquis of Vandreuil, the French Governor at Quebec, sent parties of French and Indians to attack the frontier towns of the Colony. 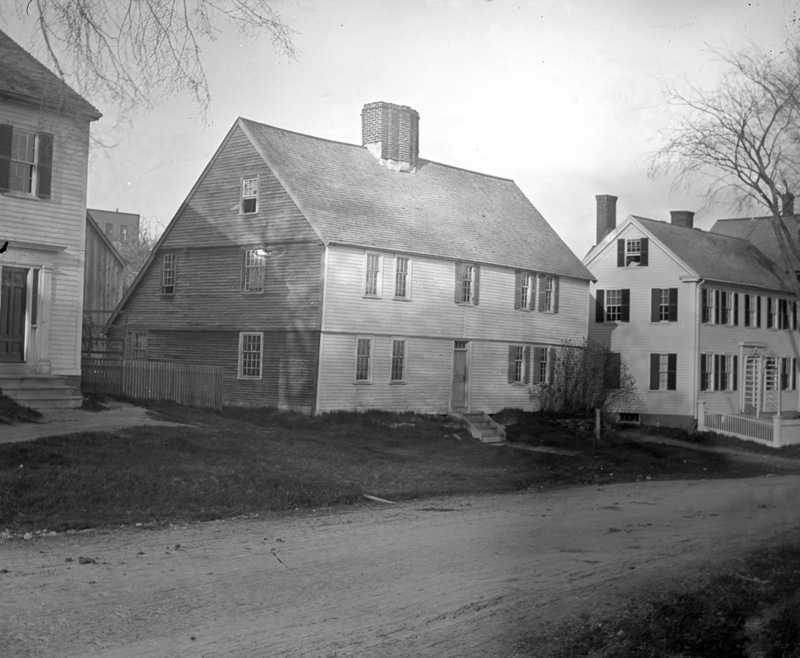 Ipswich sent a company of forty-eight men detached by Major Francis Wainwright on an expedition to York and Salmon Falls, Maine in the “Eastward Front,” under Major John Cutler, with Lieutenant Perkins second in command. Fierce discord arose in the ranks regarding the commander, who sold his provisions and kept his men short. Perkins brought formal charges against Cutler, and a Court-Martial at Newbury in February, 1703-4, cashiered Major Cutler and declared him in eligible for further service. Captain Matthew Perkins served under Col. Francis Wainwright in an expedition to Front Royal (the city of Annapolis Royal, Nova Scotia) in 1707. A third expedition against Port Royal was decided upon early in 1710. Capt. Matthew Perkins commanded a company of which Greorge Hart was Ensign. The Ipswich sloop, “Hopewell,” 55 tons, John Chadwell, Commander, was included among the transports, conveying Capt. Perkins and his company of 60 men. During Queen Anne’s War, there was a New England blockade of Port Royal and then three attempts to lay siege to the capital. This third siege siege ultimately resulted in the British conquest of Acadia and Nova Scotia. 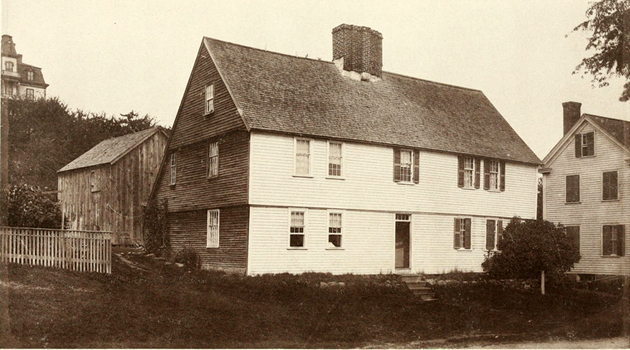 This house was the birthplace of Ipswich artist Arthur Wesley Dow in 1857. His family moved to a home on Spring Street in 1861. 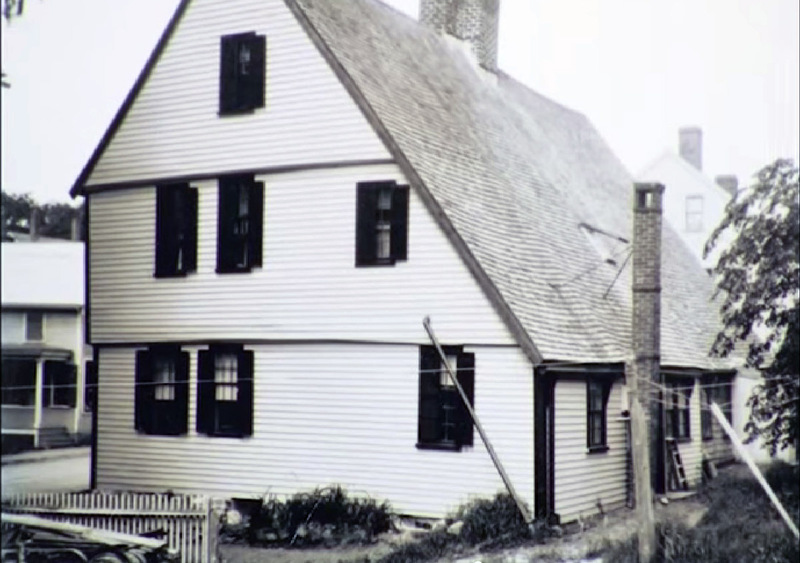 Dow’s summer art school was at the Howard House at the intersection of Green Street and Turkey Shore Road, and he had a studio at the top of Spring Street. The south elevation facing East St, and the north, east and west facades, including all doors, door frames, windows, window sash, window frames, wall sheathing, clapboards, transoms, cornices, mouldings and other decorative elements. The massing of the roof profile, and the roofs wooden shingle covering, skylights, dormers or other roof additions. The foundation, specifically its drywall stone construction. All structural members, interior beams, posts, girts, plates, rafters, purlins and other framing members. Existing space configuration and door locations of the first and second floors, and of the east room at the attic with the subdivision or enlargement of such spaces. All floors of the first and second floors of the south facing rooms, east attic room, and both stairwells at all floors with the sanding of all but hardwood floors forbidden. Excluded: modern floors in first and second floor north facing rooms. Plaster walls and ceilings in the first and second floor south and northeast rooms, the second floor northwest room, and the attic east room, and clay plaster at the attic east and first floor northeast rooms may not be painted or repaired. All woodwork in the south rooms of the first and second floors and both stair halls at all floors including but not limited to cornices, mantel pieces, paneling, baseboards, stairs, railings. balusters, newels, doors, door casings, windows, window sash, window casing and other decorative elements. Paint removal forbidden without approval. All fireplaces. Restoration of former kitchen fireplace with approval. Cellar’s masonry partitions, chimney arch, and clay parging at the north wall of the main cellar shall not be disturbed. First, and second floors and attic; woodwork, interior beams and framing, floors, fireplaces and plaster, etc. shall not be covered without approval.